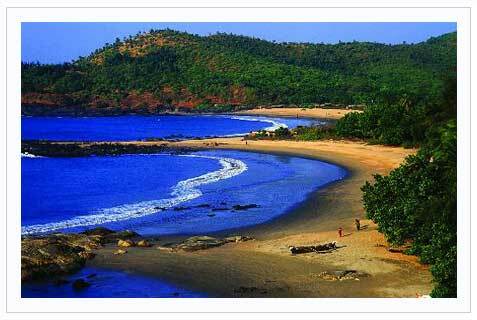 Gokarna is famous for its temples and beaches. With its narrow streets, traditional houses and temples, this unassuming town has become the favorite haunt for pilgrims, Sanskrit scholars and beach buffs. Locally, it is believed that Gokarna derives its name from a legend in which Lord Shiva emerged from the ear of a cow. Literally meaning 'cow's ear', this village is formed by the ear-shaped confluence of two rivers. Om Beach, one of Gokarna's five acclaimed beaches, takes the shape of an 'Om', a spiritual Hindu symbol. Apart from colonial style rooms with restaurant, this resort offers a wide range of ayurvedic treatment. Activities which are possible are surfing, water skiing, parasailing, banana tube rides, bumby rides, snorkelling, board surfing, beach camping and many more. Tariff is valid till 1st October 2010. Tariff is per couple per night and includes accommodation in suite room, all meals, all taxes, indoor and outdoor activities. Children below the age of 6 years will be complimentary. Children between 6 to 12 years will be charged 50% of the plan. Children above 12 years considered as an adult. For an additional Rs. 1600 for indians & $ 40 for foreigners, two adults would get an ayurvedic massage in the package. Check in 12 noon for lunch and check out 11 am. Dollar rates are valid for foreign nationals. Cancellation or postponement would be as per hotel guidelines. Nearest airport is panjim which is 135 kms from here. You can take the konkan rail and get down at ankola which is 20 kms from this place. There are plenty of government as well as private buses operating from different cities in karnataka. Some of the private buses are Seabird, VRL, Sugama. Trains would be Netravati Express, Matsyagandha express.